With, you are trying to harden your home against the potential damage to life and property that a hurricane can cause, there are many options. 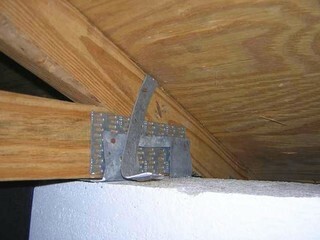 Your roof, how it’s constructed, its shape and the way it’s attached to your house, are all very important components. But one of the most important parts of this effort is ensuring you have properly tested protection on all of your openings. It’s good to protect all openings, but especially those that contain glass. Your insurance company may provide you with a discount if you can prove that every opening is protected. Depending on your particular insurance company and the exact location of your home, you may be required to show that all of your openings are protected, or perhaps just the openings that contain glass. Your trusted insurance agent is the person best positioned to assist you with understanding the precise requirements of your particular situation. But once you know which openings need to be protected to obtain the discount for your home and with your carrier, how do you know what kind of product qualifies as protection? 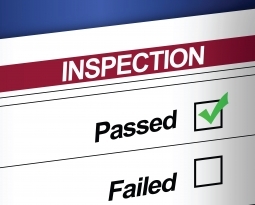 The answer is on the OIR-B1-1802 inspection form issued by the State of Florida’s Office of Insurance Regulation (OIR). This form lists the testing requirements that a product can meet to be considered tested and approved for purposes of obtaining a possible discount on your insurance policy. Testing variously includes applying pressure, cycling pressure up and down, and subjecting the project to impact by a projectile. 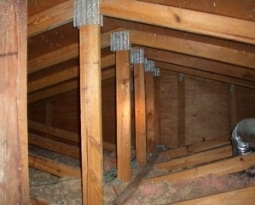 An excellent description of the details of the testing standards can be found at www.floridadisaster.org or by clicking here. Unfortunately, there are many products for sale to unwitting homeowners that clearly do not meet any the testing requirements listed on the inspection form, but are marketed as products that may be able to get the homeowner a discount on their insurance. There are two types of product that are less expensive and may be attractive to people, but cause confusion and disappointment when the consumer realizes that they are not any closer to receiving a discount on their insurance despite having purchased them. 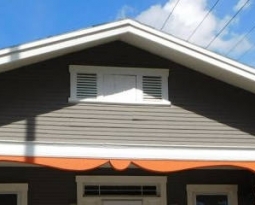 These are plywood shutters and window film. Window Film: is sometimes marketed as protection against hurricanes or windstorms, but not one film has ever been approved by the Florida Building Commission for that purpose. Florida’s Attorney General felt the need to remind folks in 2013 about this fact, as consumers were being misled. This is not to say that film might not be “better than nothing”, or that it might provide some security benefits. But regardless of what security or safety benefits window films may or may not provide, they do not help anyone obtain a valid discount on their insurance. Cut Plywood Sheets: are in the same boat. 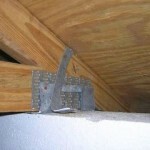 While the Florida building code does provide for a process by which plywood can be used to help secure your home, the requirements are so onerous and expensive to execute properly that we’ve never seen anyone actually meet the listed requirements. To comply perfectly with the requirements would likely be more expensive than obtaining actual hurricane panels. 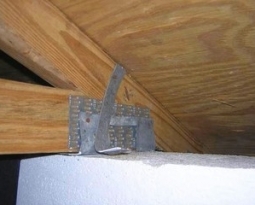 When people contract someone to put plywood up over their openings, usually in preparation for an eminent storm, they may be helping to make their home safer or more secure to some degree, but they are not getting any closer to obtaining an insurance discount.